A blog is one of the most vital social media assets for any small, medium or large business, yet numerous businesses do not invest time in blogging at all. If you are not blogging, you are missing out a great opportunity to advance your business and get found more easily online. Do you want to set up your own blog yet do not how to do it? 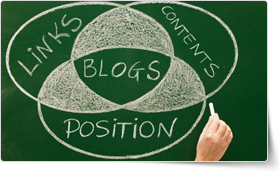 Register in PD Training’s Intro to Blogging for Business training course! With this course, you will find out how to develop a blogging approach to make your blog more than just another company website. This course covers many details step-by-step and ensures that you gain a solid foundation in the key terms and concepts of blogging, the difference between free & hosted blogs, proper keyword density, blogging strategies, writing tips and more. Now available throughout Hong Kong, this Intro to Blogging for Business training course can be delivered with our expert local or international trainers at your chosen venue and schedule.